Around Town: Forever & Ever, Church Renewal, T4T, Housing Justice . . .
Darlene Ketchum will be one of the key vocalists in Forever and Ever. 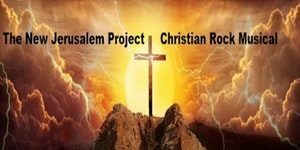 While Jesus Christ Superstar has taken centre stage around North America again over the past few weeks, Metro Vancouver will have the opportunity to enjoy its own unique Christian rock musical this weekend. Forever & Ever (The New Jerusalem Project) will be at The Columbia in New Westminster April 13 – 14. The production is a ‘spares no expense’ musical gala, a simply must-see event that integrates high-tech visuals into a breath-taking live stage performance. The music, lyrics and performance by a full stage ensemble with a powerful horn section. Professional musicians such as Bob Ruggiero, Miles Foxx Hill, Tony Davich and Glenda Rae have participated in this project. And I John saw the holy city, the new Jerusalem, coming down from God out of heaven, prepared as a bride adorned for her husband. And I heard a great voice out of heaven saying, Behold, the tabernacle of God is with men, and He will dwell with them, and they shall be his people, and God himself shall be with them, and be their God. Tom Arntzen, one of Vancouver’s best known pianist/singers, is front and centre on keyboards and vocals. 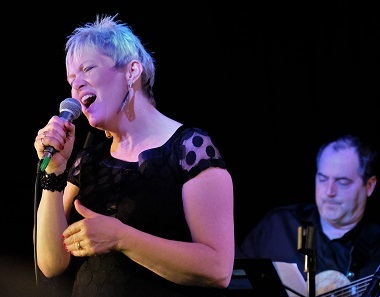 Vocalists Laura Doyle, Darlene Ketchum and Glenda Rae bring a wealth of live performance and recording experience to the mix. Drummer Phil Robertson has played with major artists throughout his career. Guitarists Tim Porter and Olaf DeShield, and bassist Miles Foxx Hill bring decades of stage, touring and studio experience to bear on the show’s story-rich songs. Rounding out The New Jerusalem Project Band is a stellar horn section, with saxophonist Steve Hilliam, Vince Mai on trumpet and seasoned trombonist Rod Murray. For a fuller introduction to several of the musicians, go to The New Jerusalem Facebook page. To learn about the Forever &Ever album go here. Forever and Ever will also be performed at Calvary Worship Centre in Surrey April 21. 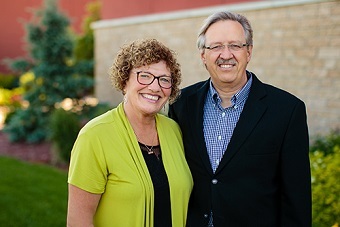 Ray and Fran Duerksen will lead a Church Renewal Round Table at Fraser Lands Church. If Vancouverites know of any church in Steinbach, Manitoba, it will be Southland Church, which grew from less than 200 members in the 1990s to several thousand, under the leadership of pastor Ray Duerksen. Many people have attended events and learned from Southland over the past few years. If you are interested in renewing your church, we would love to have you join us at an upcoming round table in which Pastor Ray Duerksen will share the vision of Church Renewal. Pastor Duerksen has 30 years of pastoral ministry including 22 years at Southland Church in Steinbach, Manitoba. Through Church Renewal Practices and a thriving prayer ministry, God has grown Southland to 4,000-plus attenders. At the round table, Pastor Duerksen will be sharing his journey of church renewal and would love to meet you, answer questions and share his heart and plan for the renewal of the church. Please join us! Fraser Lands Church is at 3330 SE Marine Drive in Vancouver; the Church Renewal Round Table runs from 10 am to noon and includes lunch. 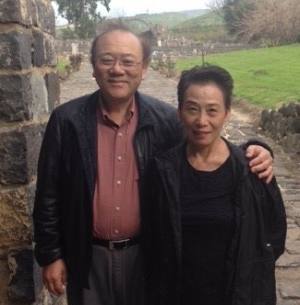 Ying Kai, with his wife Grace. Rev. Ying and Grace Kai will lead a T4T (Training for Trainers) evangelism and discipleship event April 20 – 21 in Burnaby. Pastors Matthew and Winnie Low of Agape Church Burnaby will host the seminars at the Alan Emmott Centre. In the first decade of the 21st century, God used the Training for Trainers (T4T) movement to bring two million new believers to salvation in Jesus Christ, resulting in at least 150,000 new churches. Ying and Grace Kai have shared these lessons with countless missionaries and church planters, and multiplying church planting movements have emerged from these T4T practitioners. My dream for Vancouver starts with many people from all backgrounds becoming Christ-followers every day. New believers immediately share their new-found faith with their family, friends and coworkers. People who have no biblical background read the scriptures, expecting that God has words for them. The Holy Spirit teaches and anoints ordinary people for ministry. Traditional churches and their leaders push beyond their comfort zones to become part of a new vision for what church can become. I lived that dream in Asia! For 13 years I was privileged to work alongside Ying Kai as Training for Trainers (T4T) morphed into a discipleship practice. More churches were started than I could have imagined possible with more conventional approaches. Go here for the full article. Registration at the Burnaby event will include Ying and Grace Kai’s new workbook. 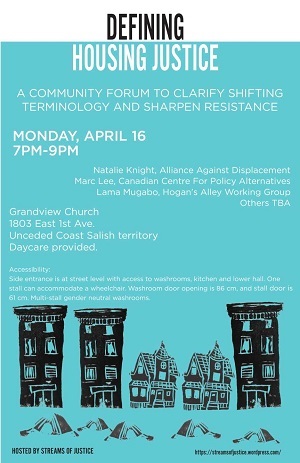 Streams of Justice will host a community forum “to clarify shifting terminology and sharpen resistance” at Grandview Calvary Baptist Church next Monday (April 16). Here is how they describe Defining Housing Justice. To enter into discussions of the housing crisis in the Lower Mainland is to find yourself in a room full of smoke and mirrors. The spotlight of the crisis has shifted from solving homelessness to making home ownership more affordable to the professional class; explanations for the crisis have moved from government austerity policies that severely restricted construction of social housing to the influx of foreign capital into a speculative housing market. . . . This forum is meant to blow away some of the smoke so we can get more clarity on the changing discourse and understand why these shifts are taking place. We want to explore the historical significance of these shifts, bring ourselves up to speed on politics driving them, and strategize ways we can cut through the fog and sharpen our fight together for housing justice.